COVINGTON—-A 39-year-old Slidell man who is a multiple drug offender faces a sentence of up to life imprisonment after his conviction this week of heroin possession. 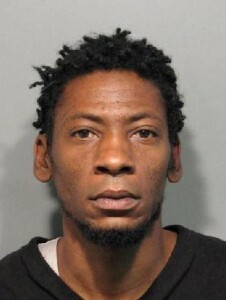 A St. Tammany Parish jury on Wednesday (March 18) found Jabari Smith guilty of possession of heroin—his sixth conviction on drug charges. Assistant District Attorney Nick Noriea prosecuted the case. The St. Tammany Narcotics Task Force investigated information that led to the execution of a search warrant at Smith’s Slidell residence on Oct. 24, 2014. During the search, police officers found about 3.5 grams of heroin hidden in a shoe. Jury deliberations in the case lasted about an hour. Smith’s record includes three prior marijuana convictions and two prior cocaine convictions, including one for which he was sentenced in 2008 to five years in prison. That sentence ran concurrently with a sentence that also was issued in 2008 after Smith was convicted of aggravated battery with a gun.